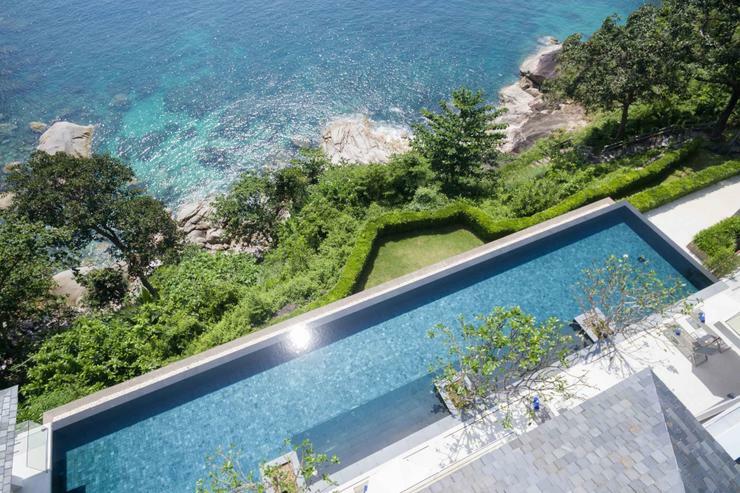 I had heard from friends that this the Aquila was a new hidden paradise on the Andaman Sea. Quite simply, postcard material and a experience that I must have if I wanted to feel like a superstar for a short period. So I could not resist, and booked a short stay. The moment we walked into the Aquila Villa i knew what they were talking about. 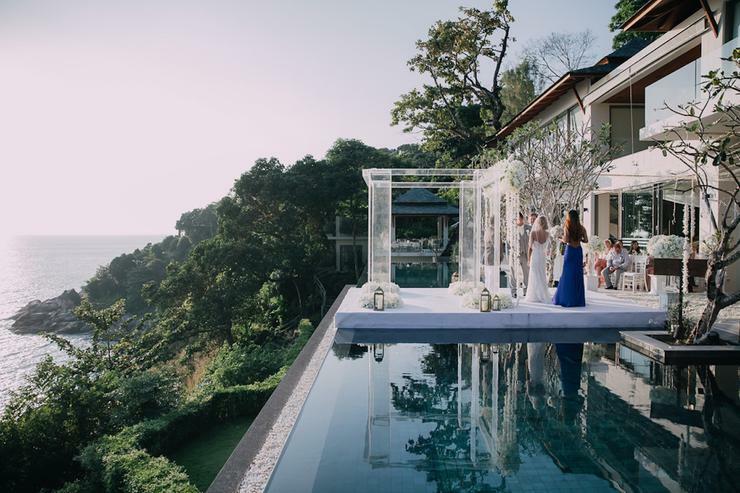 I was absolutely taken back with the stunning views, and the Villa itself is world class, blending modernity and traditional Asian and European designs. Just walking around the complex was inspirational. It is most definitely a heaven on earth. A villa elegantly thought-out where you can take that time away, lap up all that beauty and gorgeous sunsets without a worry in the world. 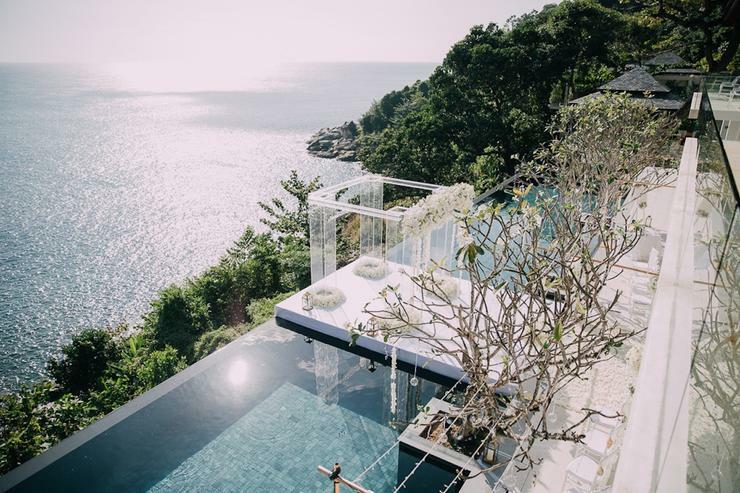 What we mostly enjoyed was the infinity pool perched above the ocean which faces the Andaman Sea just listening to the sound of crashing waves on the rocks below enjoying a glass of wine. Must say it is by far the most luxurious villa i have ever stayed at absolutely , and caters for all your needs. There is a brilliant library of books if you just wanted to chill and read a book on the deck, an enormous entertainment area for the kids with huge TV screens which they immensely enjoyed. Most importantly for me, who loves a good workout, I found the gym very satisfying, weight machines even a punching bag with spacious area to train. My compliments to the chef and staff who provided us with amazing endless dishes that i will miss immensely, and thank you to management for making this a unforgettable experience one that will stay in our memories. I also have to thank my friends for the secret tip about this new amazing villa. We stayed at the Aquila Villa in the beginning of January. To say the villa exceeded our wildest expectations would be an understatement. The Aquila is simply extraordinary! From the time we arrived, we were treated like VIP's by the staff. We continued to be impressed with their professionalism throughout our stay, and no request seemed to bother them. They always seemed to be nearby somewhere at just the right moment. The villa manager always tried to do that little bit extra to ensure we had the most relaxing holiday we had ever experienced. I was amazed at the beautiful outlook from every room. The quality and cleanliness of each room was outstanding.The villa is located in a jungle oasis with beautiful ocean views. The villa is a haven of tranquility. 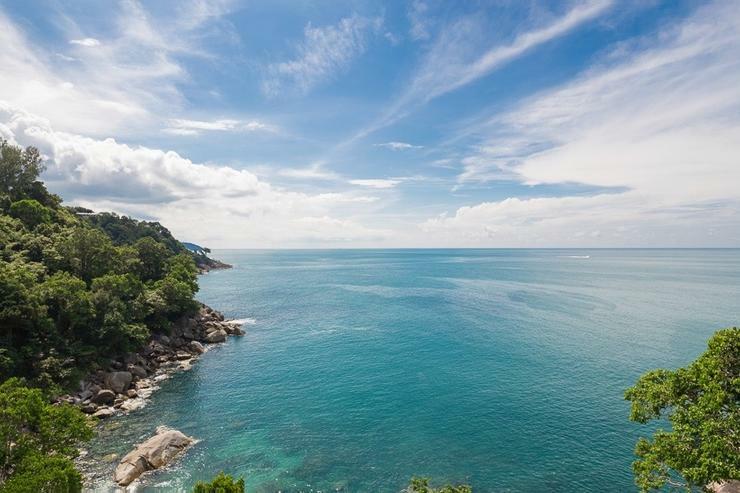 Don't come here if you want the hustle and bustle of Thailand, but if you want a truly luxurious getaway, this is the place for you. The food at the villa was excellent. They had a wide range of menu options, and the villa manager would check our preferences each morning to give the Chef time to make us some delicious meals. Honestly cannot speak too highly of the Aquila, and it's exceptional staff. If you are looking for a truly first class, exceptional holiday, this is the place. Would I stay here again? Definitely. Would I recommend it to others? Absolutely! 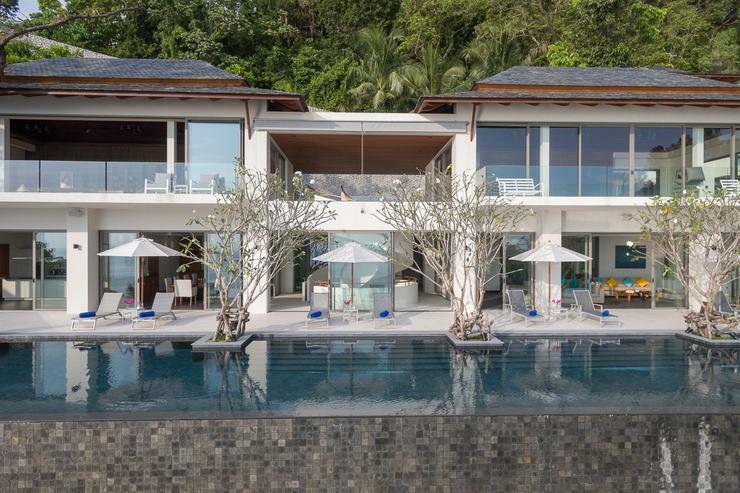 The Aquila is without doubt one of the best villas in Thailand, and probably South-East Asia as well! Staying in this villa is like living in a dream, it topped all our expectations with ease. Upon arrival in this secured domain we were welcomed by the friendly staff with a refreshing coconut drink. 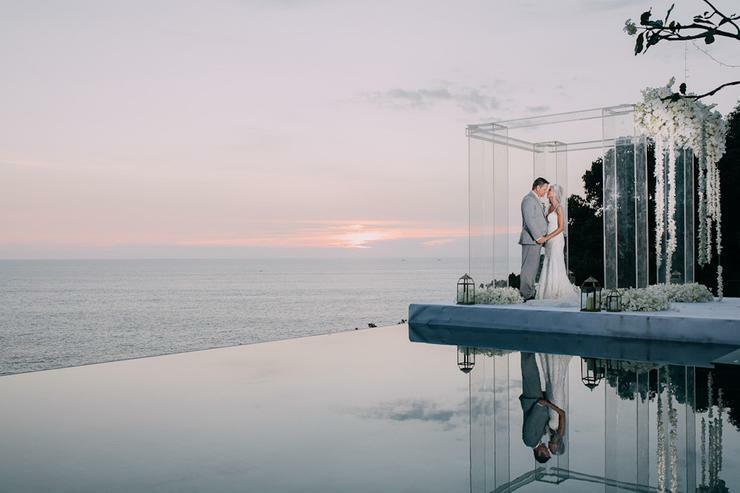 Subsequently we were guided throughout the villa, we were blown away by the outstanding luxury architectural design and especially amazed by the ocean views. The villa consists of a main building with three levels and several separate buildings containing the 7 bedrooms including 7 bathrooms. 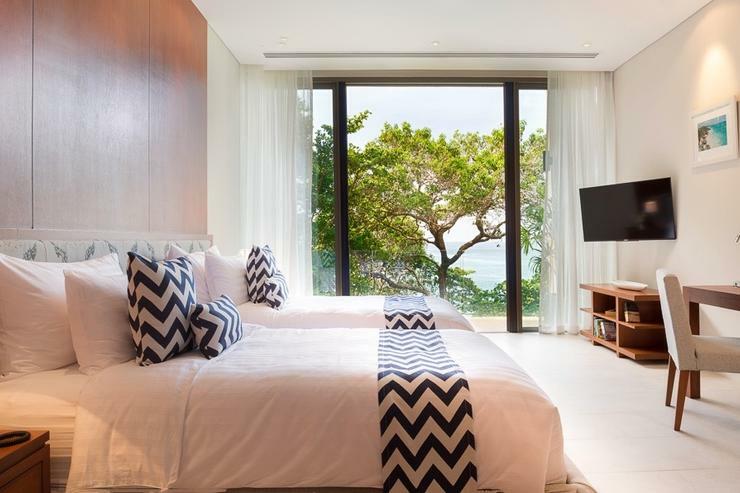 My bedroom had a highly comfortable bed, walk-in closet, a sitting area and an amazing bathroom including an outdoor shower with view on the Andaman sea. 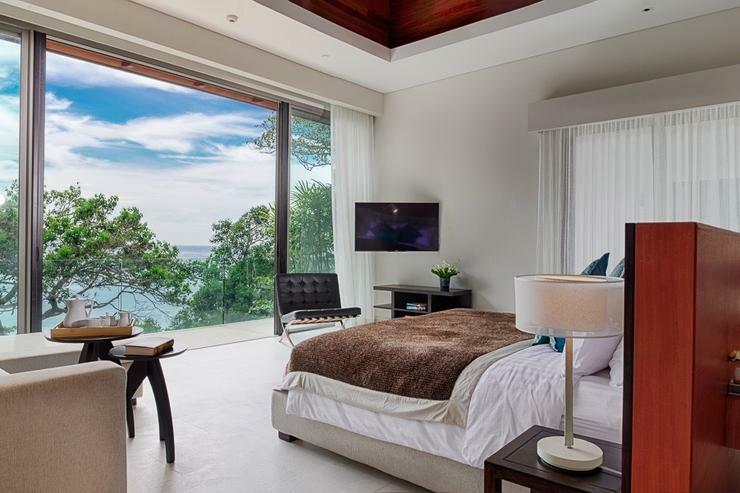 Waking up with these fantastic views feels extra-ordinary. Thanks to the chef of the villa we discovered the delicious Thai cuisine, he made us numerous traditional Thai dishes and a Thai barbecue with fresh seafood. The villa is perfect to spend quality time with family and friends. 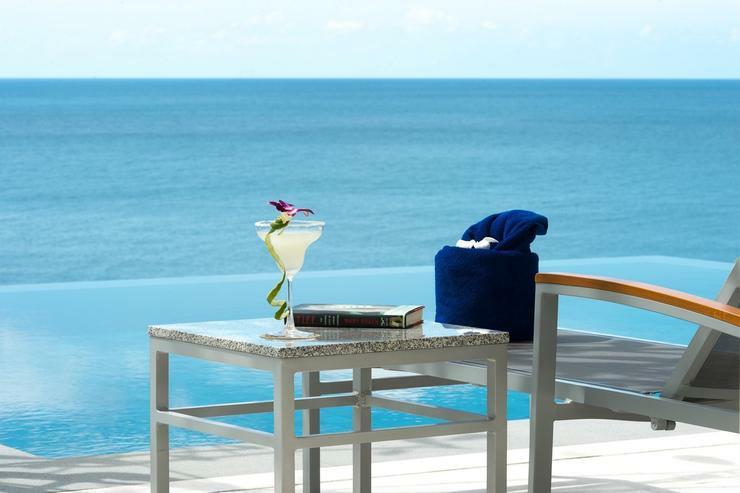 A part from enjoying the infinity pool, you can swim in the sea (direct access from the villa), snorkeling in its own reef, there is a extended library, movie room, a private spa, gym, and much more to do. In the neighborhood you can find some wonderful beaches as well. 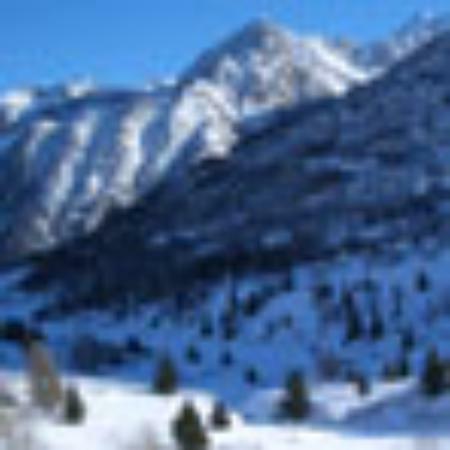 This is a place where you can truly disconnect from the world within a few hours after arrival and escape from the busy world and your daily hectic life. We sincerely had the best time here. Again a big thank you to the staff who made our stay unforgettable. There is a reason they call this a supervilla..
We needed a place for a big family and I'm glad we settled on the aquila. This villa was beautiful and the views were breathtaking. Enjoyed every moment. Only thing was that our grandmother found it difficult to get around and they did say an elevator would be installed which would make it perfect! Nothing to complain about this stay would be one to remember! A guest at the Aquilla for five days including a family wedding. Rooms are massive and stylish, communal areas likewise. Beautiful pool and top notch staff for who nothing is a problem. Add to that amazing coral reef to snorkle around and its heaven on earth. If you are thinking of staying somewhere different or have a special occasion to celebrate this is the place to go. Stayed here with the fam recently and i can not say enough how highly i recommend this place. The properly is kept immaculate, the staff are amazing and the view is to die for. You're a sucker if you stay anywhere else. 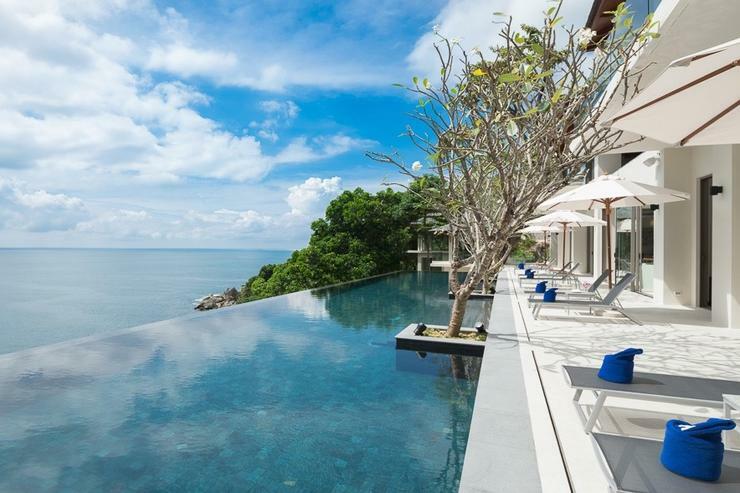 This is the type of villa that needs to be experienced to be believed. 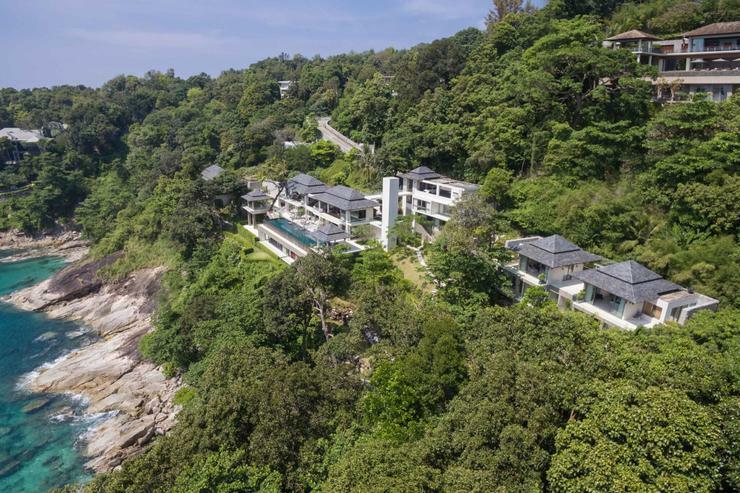 A simply magnificent clifftop location on a perfectly secluded private bay. 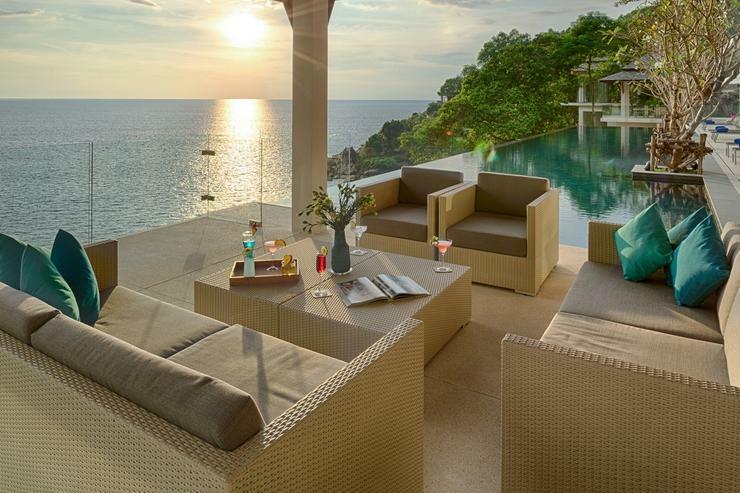 Nothing but jungle on either side and the most amazing villa you could ever imagine. 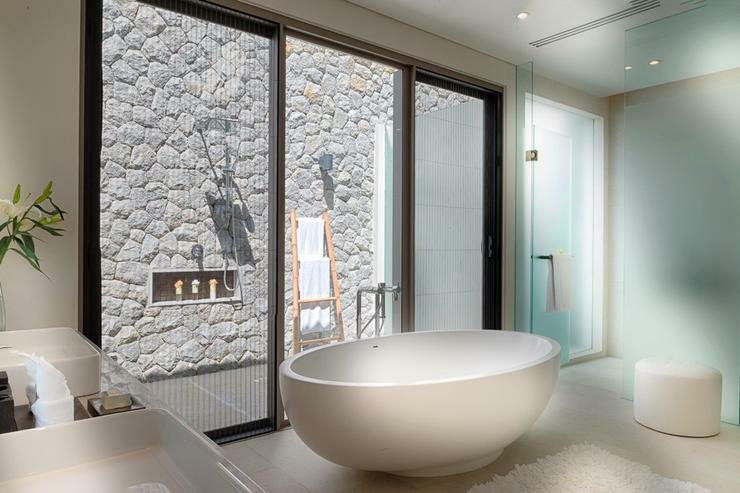 Infinity pool, rainfall showers, day-spa, games room. Its got it all, along with an amazing chef and staff. Words can't describe The Aquila, you need to feel it! 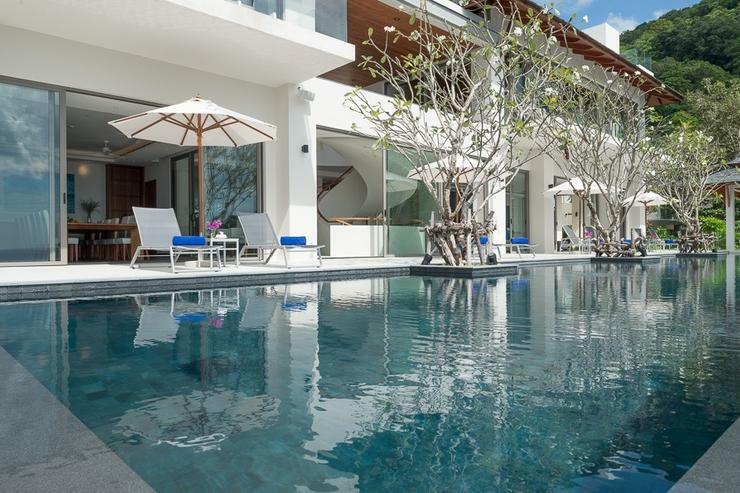 Conveniently located in the ‘Millionaire’s Mile’of Kamala which hosts a number of stunning homes, the villa is miles away from worries yet only a few minutes from conveniences, and sets new standards among its peers. 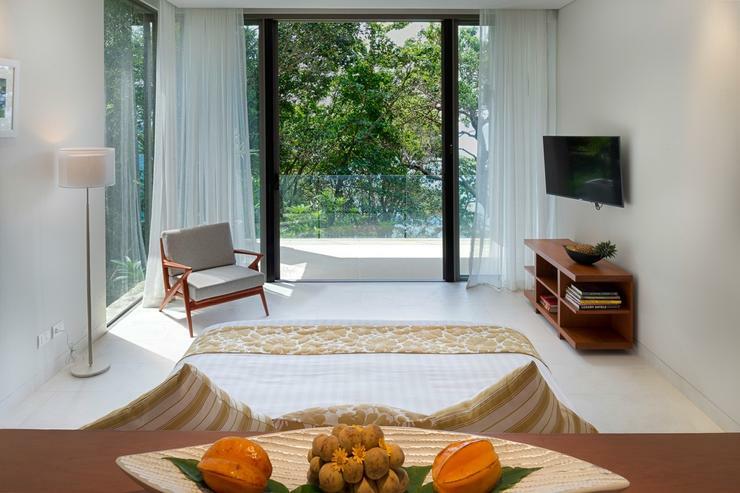 The Aquila is located a short 40 minute drive from Phuket International Airport. Access to the property is via a private road into a gated compound with 24-hour security. 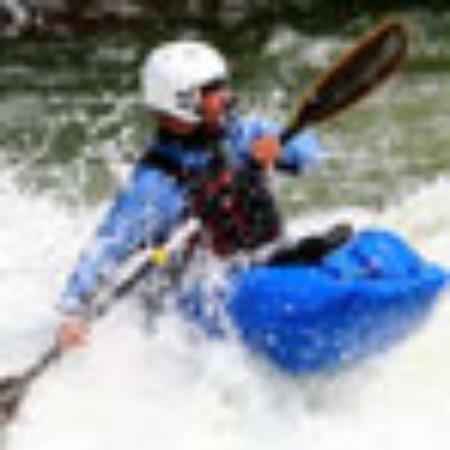 You will enjoy a direct water access, a reef starting 5m offshore, a waterfall and expansive forest views to either side. 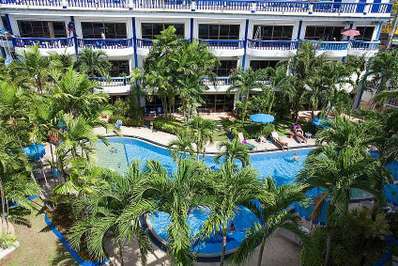 The Guest hereby acknowledges that it has been advised to take out insurance to cover any losses arising from or in connection to cancellation of a booking. (c) 100% of the total rental price if the cancellation is received less than 30 days prior to the commencement of the guest’s stay in the Villa. (a) A change to a booking where the dates of the new booking do not coincide with the dates of the old original booking. (c) Cancellation of more than one full day of the booking. (f) Any other breach by the Guest of one or more of these terms and conditions. The Guest is required to pay the deposit within five (5) working days of receiving confirmation of availability of the Villa. If payment of the deposit is not received by LVA within the timeframe stipulated above, then LVA is entitled to cancel the Guest’s booking. 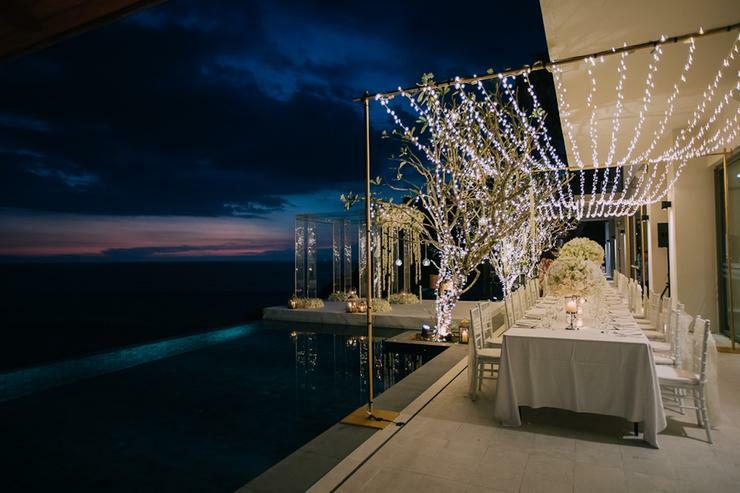 For stays commencing sixty (60) days or longer after the request is received a deposit for 50% the total cost of the Villa stay is payable. For stays commencing less than 60 days or less after the request is received from the Guest the total cost of the Villa stay is payable. If payment of the deposit is not received within five (5) working days of the dates set out above, then LVA may cancel the Guest’s booking. Where the full amount owing for the Villa stay is not paid as a deposit the balance is payable not less than sixty (60) days before the commencement date of the Villa stay. 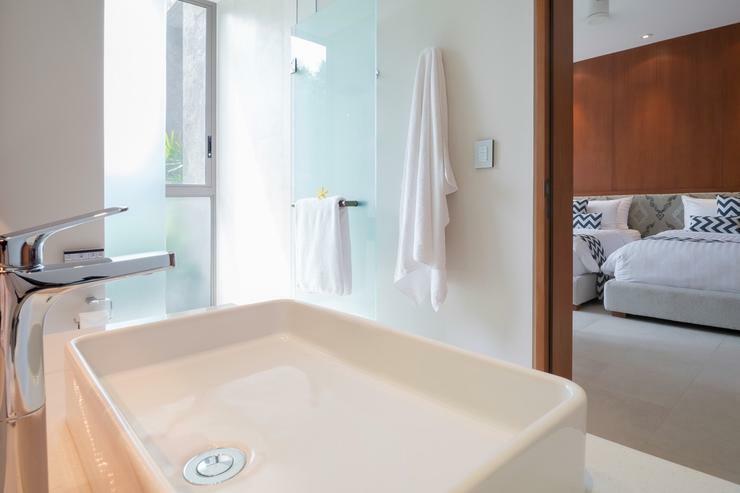 Where required, the Guest must arrange to pay a security deposit to the Owner or LVA prior to arrival as per the Villa description (“the deposit”). Payment of the deposit is a prerequisite to accessing the Villa. 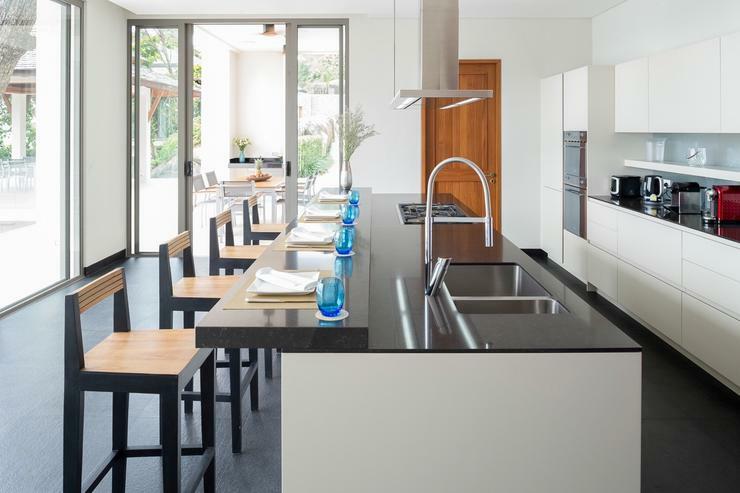 The cost of repair or replacement for any loss or damage caused by the Guest and/or by Guest’s Visitors to the Villa and/or its contents (including the cost of any additional cleaning required). If this cost cannot be calculated prior to check out, the Owner and/or LVA is entitled to retain from the security deposit an amount equal to or greater than the Owner and/or LVA’s reasonable estimate of the cost. Once the actual cost has been determined any balance will be returned to the Guest in the event that the actual cost is less than the amount retained. 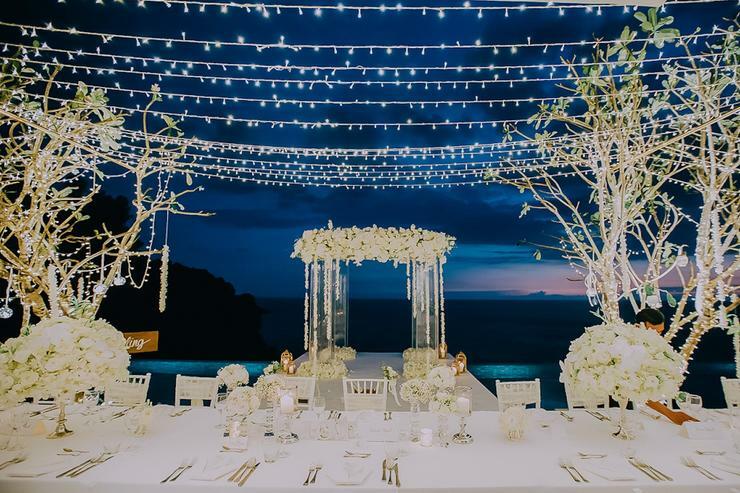 In the event that the actual cost is greater than the amount retained the Guest will immediately compensate the Owner and/or LVA for the difference. 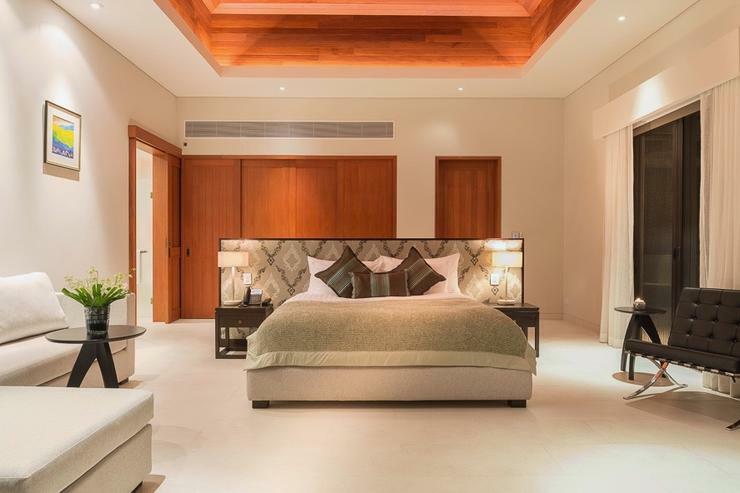 Conveniently located in the ‘Millionaire’s Mile’of Kamala which hosts a number of stunning homes, the villa is miles away from worries yet only a few minutes from conveniences, and sets new standards among its peers. The expansive estate is a masterpiece of design and craftsmanship. 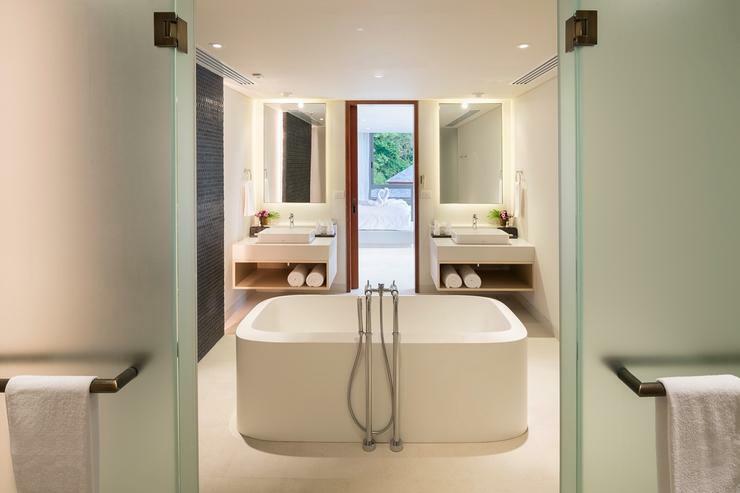 It is the perfect fusion of modernity and traditional Asian design, featuring exotic materials such as Teak-wood, blackIndian Granite and Italian Tiles. Covering several acres of prime direct ocean-access land overlooking the crystalline sea, the total living area is a massive 3500 metres spread across multiple pavilions on the estate. 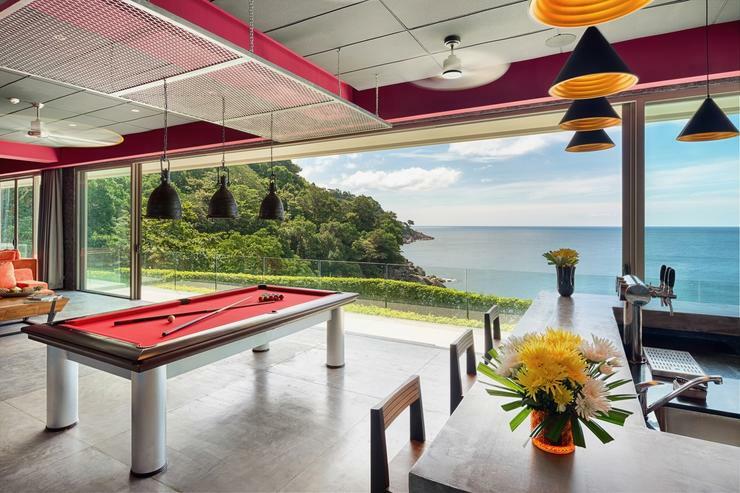 This magnificent waterfront property is graced by soaring ceilings and wall-to-wall windows to ensure sea-gazing views are always available from multiple vantage points. 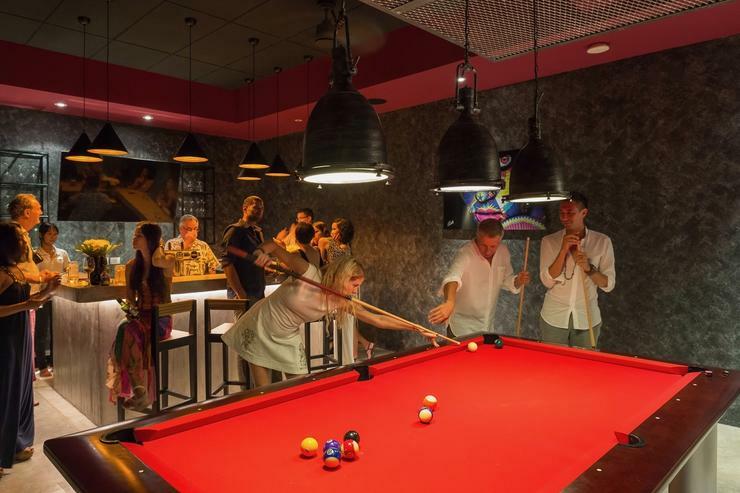 The Aquila is located a short 40 minute drive from Phuket International Airport. Access to the property is via a private road into a gated compound with 24-hour security. Upon arrival, a short, steep driveway will lead you to the carpark and reception area which can comfortably accommodate five vehicles. Also occupying the Arrival Pavilion is a comprehensive spa providing in-house treatment and services to revitalize your body and mind. 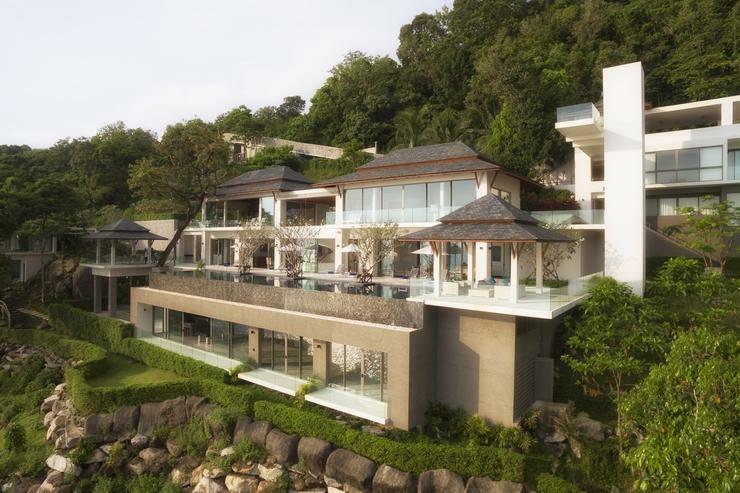 From this area you will also get your first glimpse of the three other pavilions set into the cliff-face which togethercomprise this sumptuous villa. 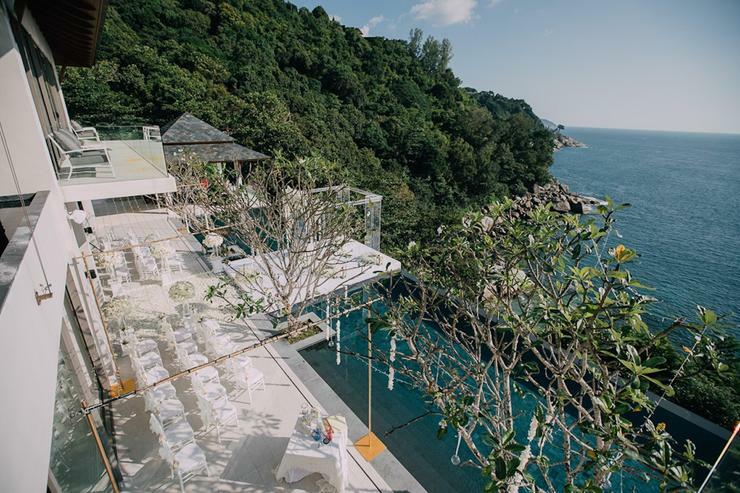 The Main Pavilion is the centrepiece of the property, with its definingwhite walls contrasting perfectly with the Black Chinese-slate roof, and the tropical green of the natural surrounds. The grand entryway is resplendent with its sweeping spiral staircase which draws you downwards into the pavilion below. The building stretches from North to South along the cliff-face in order to maximise the ocean views from the Westerly sunset aspect. 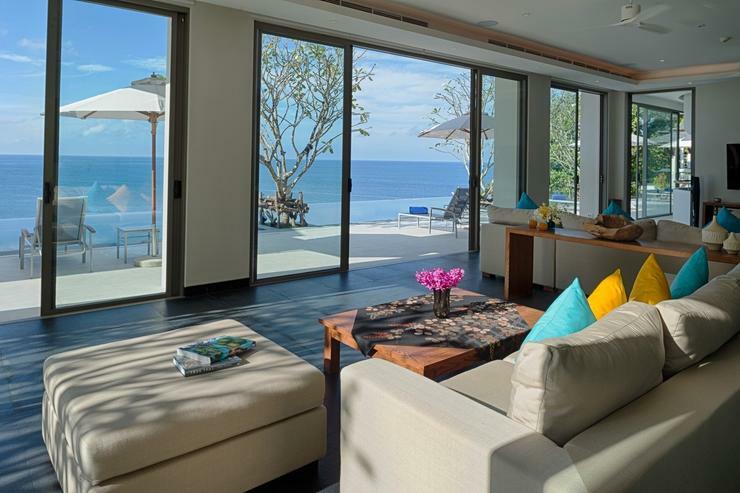 Indeed, there is not a single room in the entire property that does not have simply stunning ocean views. 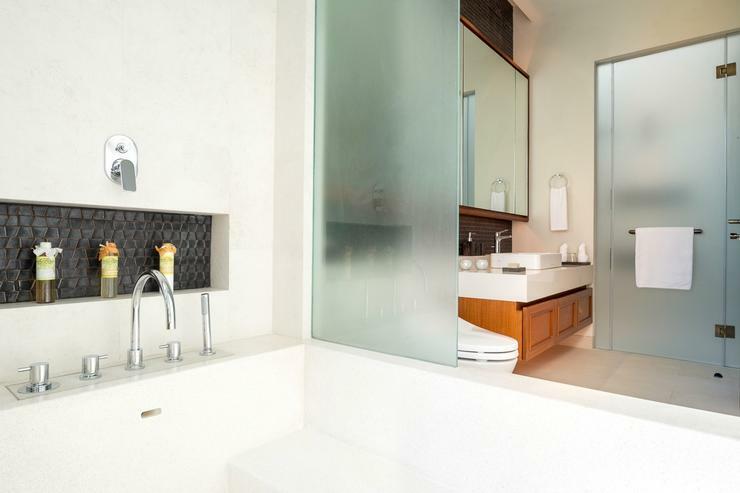 The high ceilings and extensive use of glass combine to provide breathtaking landscapes at every step and turn. 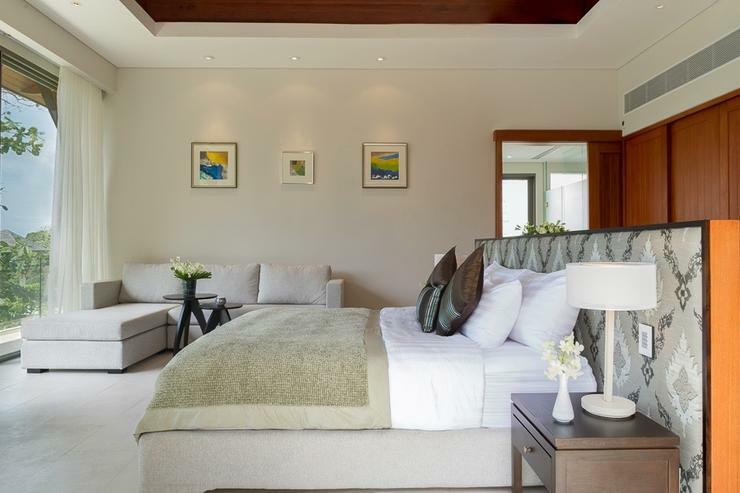 The Villa was explicitly designed not to be an air-conditioned box and as such all rooms have ceiling fans to compliment the abundant cool sea breezes along with large sliding glass doors to allow cross ventilation. This central structure is spread over three levels and encompasses a total floorspace of approximately 1100m2. The top floor contains a large library complete with a wide array of novels and multiple spaces for casual reading. 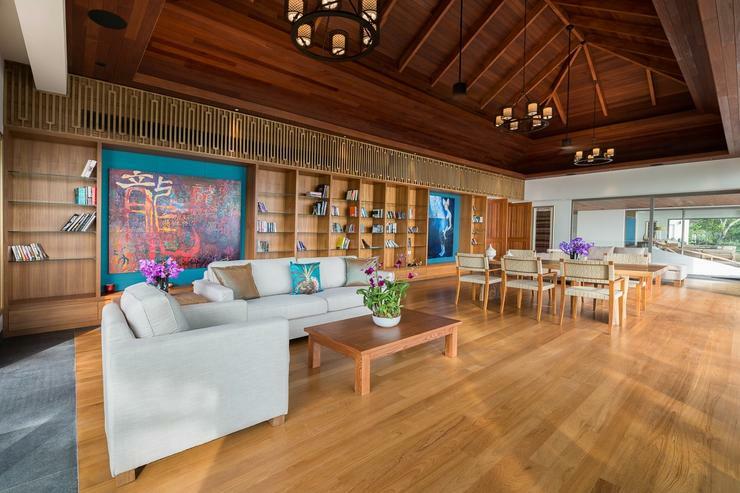 The library is exquisitely fitted with Teak flooring and imported Balinese artwork, to provide an elegant and peaceful ambience. Also on thisfloor is a large Reception Room which can be used for meeting and greeting guests, or entertaining. 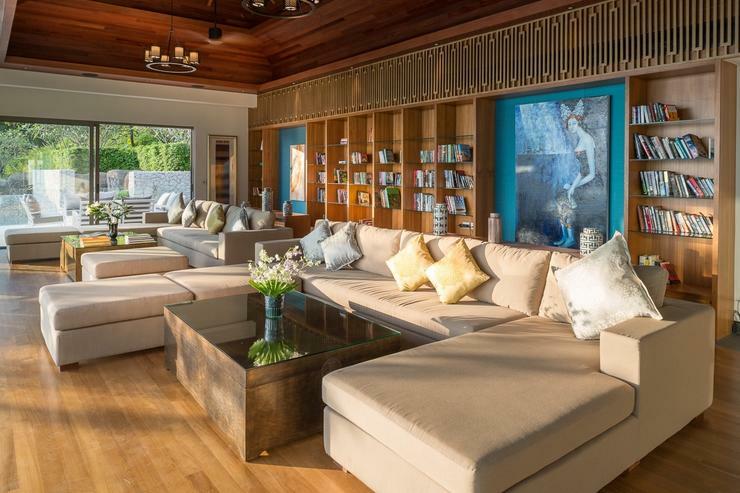 This space is defined by a stunning aquamarine Thai silk wall feature. 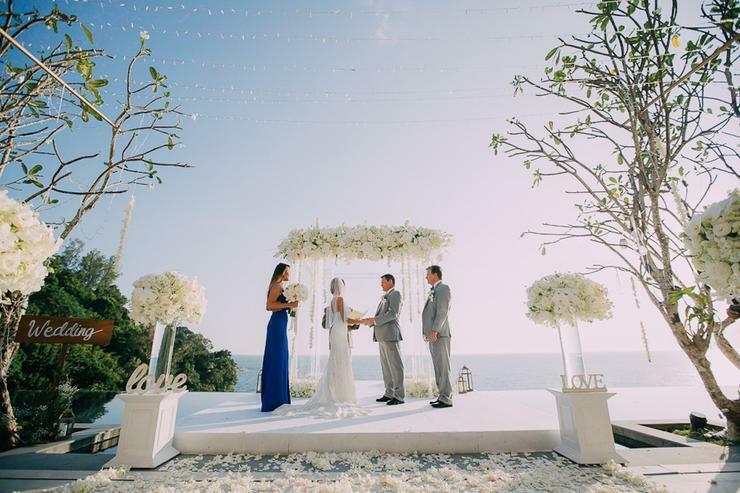 Both the library and Reception have decks with uninterrupted ocean views. 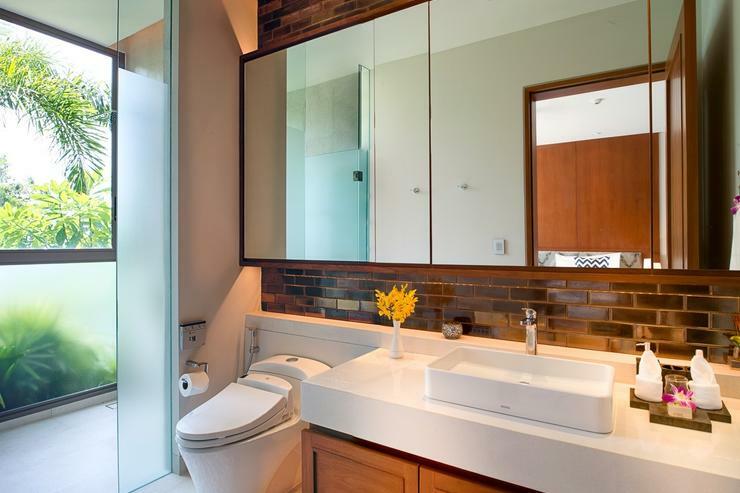 There is a washroom for guest convenience on this level along with a large pantry which contains a sink so it can act as a support room to the two formal rooms if they are desired to be used for functions. The spiral staircase which is nothing short of breathtaking leads next down to the ground floor facilities. 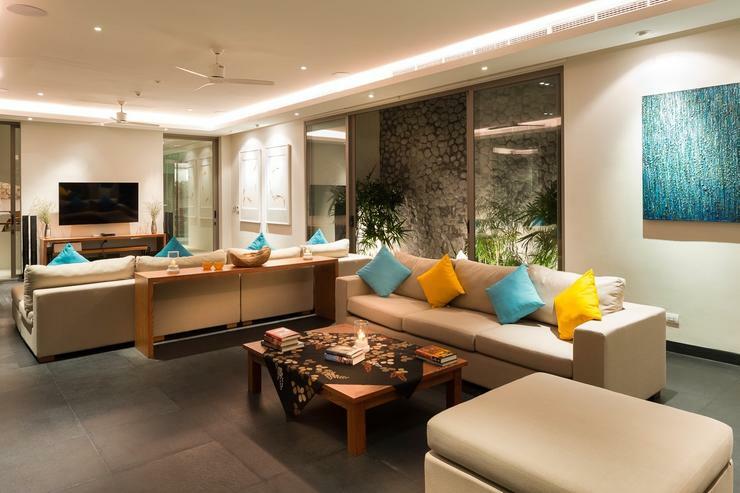 On the left, you will find the living room which has been tastefully decorated with modern furnishings and artwork from around Asia. In the evenings this is the perfect place to repose on one of the free-form sofasand watch the in-house (Netflix) movies on the 60 inch screen. 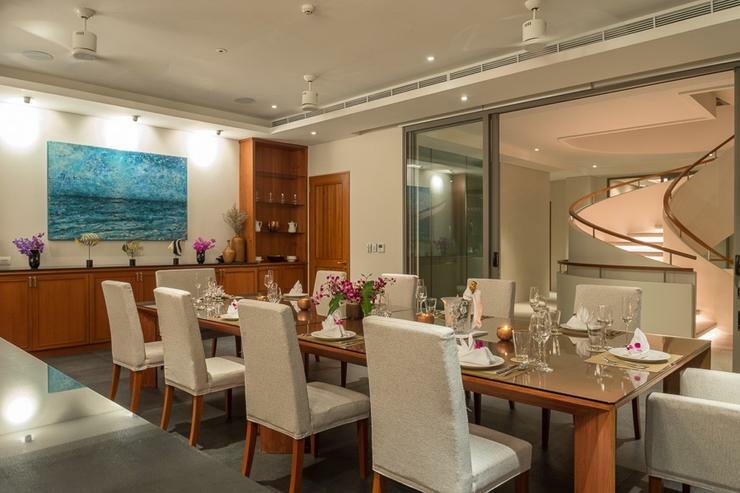 Located next to the living room, is the formal dining room which can seat up to sixteen guests in style. Adjacent to this is a drykitchen and the wetkitchen where all meals are preparedthat aren’t done on the barbequeby a team of three skilled cooking staff. Thekitchen suite boasts top grade commercialfacilities and can be stocked with whatever food and drinks your heart may desire. 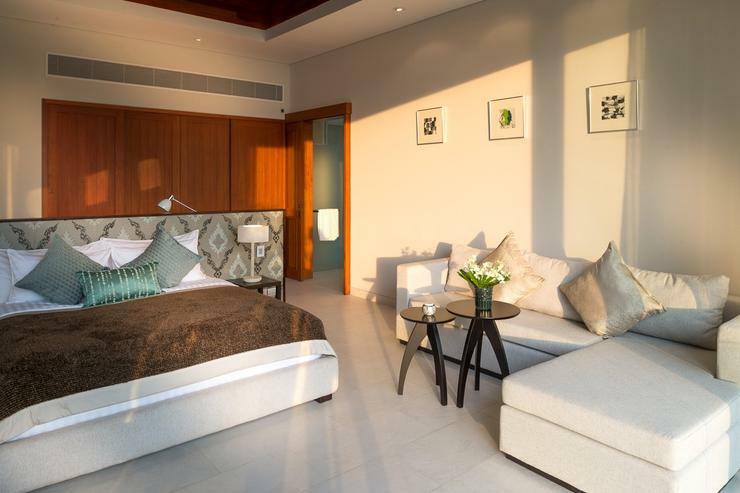 All rooms on this floor have direct access through floor-to-ceiling glass sliding doors to the pool and terrace area. The infinity pool and the surrounding open-air terrace is the highlight of the property, stretching for 30 metres along the length of the Master Pavilion it is constantly alluring. 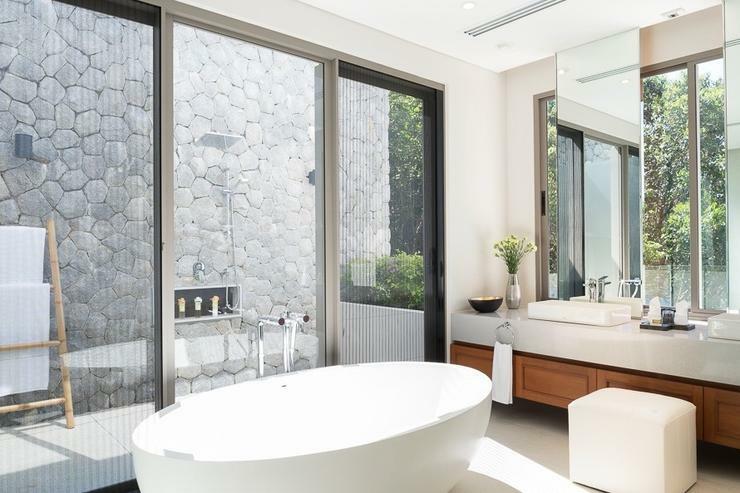 Edged in gorgeous black African Granite, surrounded by comfy sun-beds, and fragrant Frangipani trees, the inviting water stretching to the horizon makes for a stunning backdrop. The dark slate tiles on the bottom of the pool are constantly changing tone throughout the day, and not only look visually pleasing but warmthe pool through their absorption of natural energy. The dreamy sunset over the pool at the end of each day is a breathtaking highlight of a stay at The Aquila. 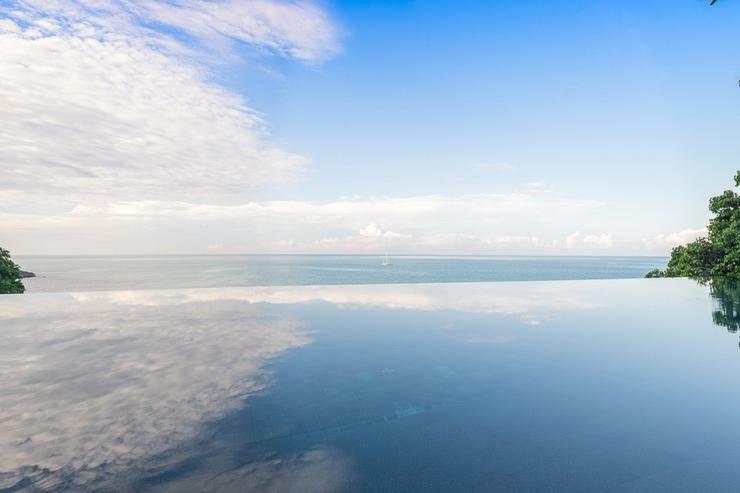 There is no place in the world you would rather be than here as nature provides a feast for the eyes; rich hues of pink, red and orange radiate from the pool to the impossible blues of ocean meeting sky. 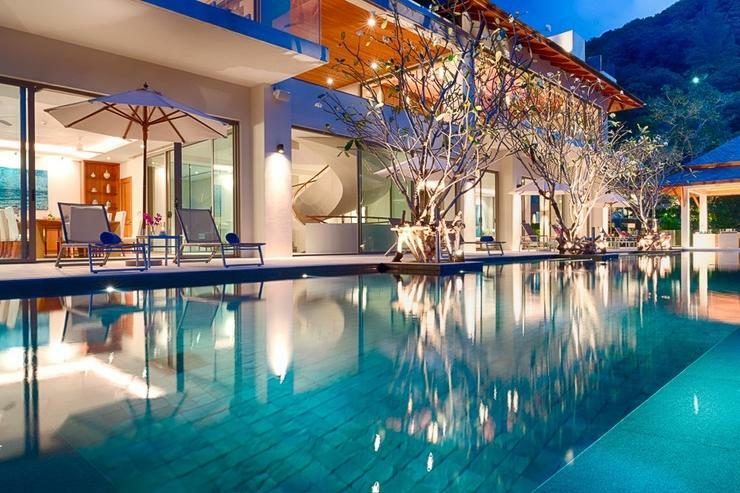 On each end of the pool is a modern Thai Sala (a roofed structure with no walls). The Northern Sala contains the informal, outdoor eating area, complete with exquisite timberwork inthe high ceilings and a slow fan for those lazy afternoons. Many guests choose to take most of their meals in this sala, while enjoying the panoramic landscape. Meanwhile, at the other end of the pool, the Southern Sala has casual seating and sofas for socialising or relaxing with your favourite book. Guests often spend much of their time here, enjoying the waftingsea breezes and the sounds of thewaves as sailboats drift in and out of view. 3top multi-function weights-machine, free weights and Yoga mats. For cardio purposes there is a rowing machine and treadmill with a million dollar view.